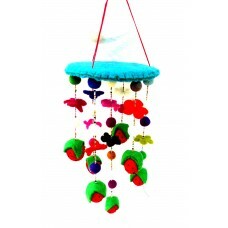 Felt Mobile Hanger is very popular item for decorating the ceiling of room. It is available in different colour and different design in Nepal Mithila Women Handicraft. In Christmas we can decorate the room with the help of Felt Mobile Hanger.We can make your own design if it is possible. 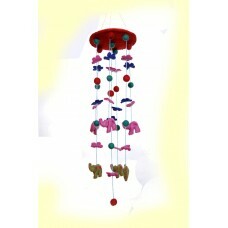 Elephant Mobile HangerElephant Mobile Hanger is Hand made in Nepal.This is use to decorate room.This..
Heart with Flower Mobile HangerHeart with Flower Mobile Hanger is Hand made in Nepal.This is use to ..
Mushroom Mobile HangerMushroom Mobile Hanger is Hand made in Nepal.This is use to decorate room.This..
Panda Mobile HangerPanda Mobile Hanger is Hand made in Nepal.This is use to decorate room.This can b..
Penguin Mobile HangerPenguin Mobile Hanger is Hand made in Nepal.This is use to decorate room.This c.. 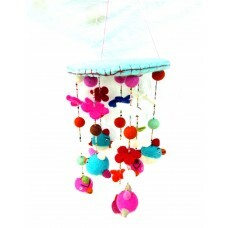 Strawberry Mobile StrawberryMobile Hanger is Hand made in Nepal.This is use to decorate room.This ca..